Farmers will collect samples from their birds using a large-matchbox-sized instrument that screens the DNA and RNA. The device connects wirelessly to the app to display the results, which can can also feed into a central store to help track outbreaks across the islands. The whole process takes less than an hour. “Near-patient molecular diagnostics have been very important in improving human health, said Brunel University London’s Professor Balachandran. “But such technology in animal health in farms is less advanced. 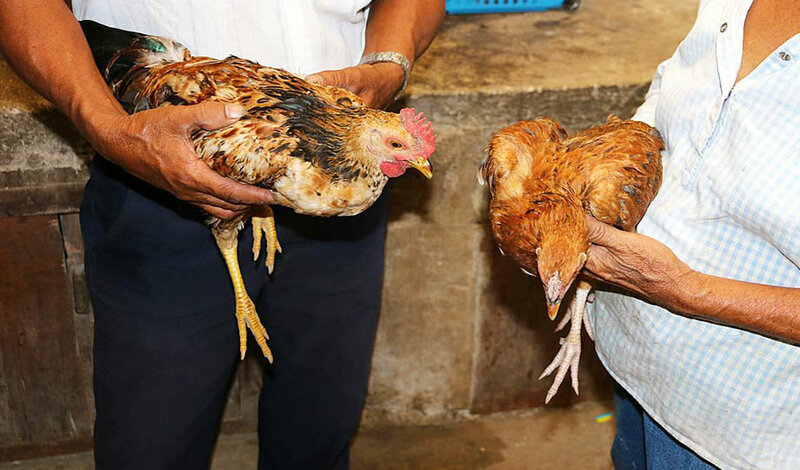 Hundreds of thousands of people in the Philippines and other poorer countries make a living farming poultry, so disease outbreaks can devastate their economies. But standard molecular tests don’t work well for developing countries. Equipment is expensive, mobile instruments are rare and lab results can take hours or days. Backed by £615,000 from the UK government’s Newton Fund, Prof Balachandran will work with the University of Surrey and Lancaster University to develop the tests over the next three years.